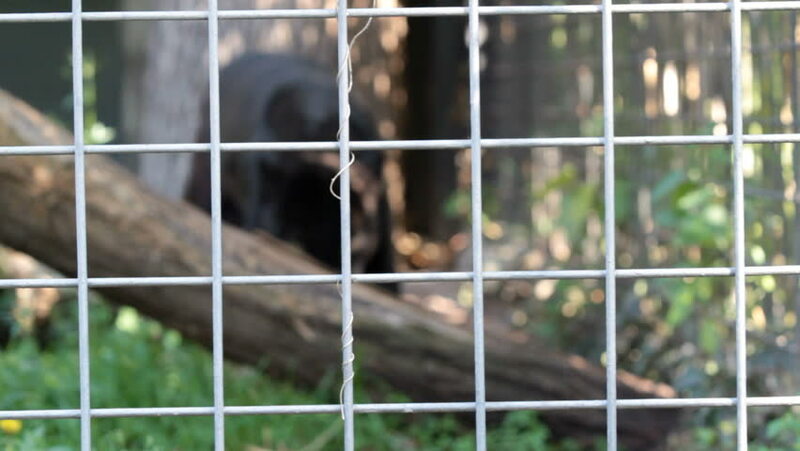 A melanistic (black coloured) Jaguar (Panthera onca) in hist zoo cage paces up and down his path. Focus on the cage bars to emphasize the captivity. hd00:12A melanistic (black coloured) Jaguar (Panthera onca) in hist zoo cage paces up and down his path. Focus on the cage bars to emphasize the captivity. hd00:08Central Asian Shepherd Dog in a cage during dog show.